From Interstate 35 in Temple, Texas, take exit 302 (Nugent Ave). Go west on Nugent Avenue to Eberhardt Road. 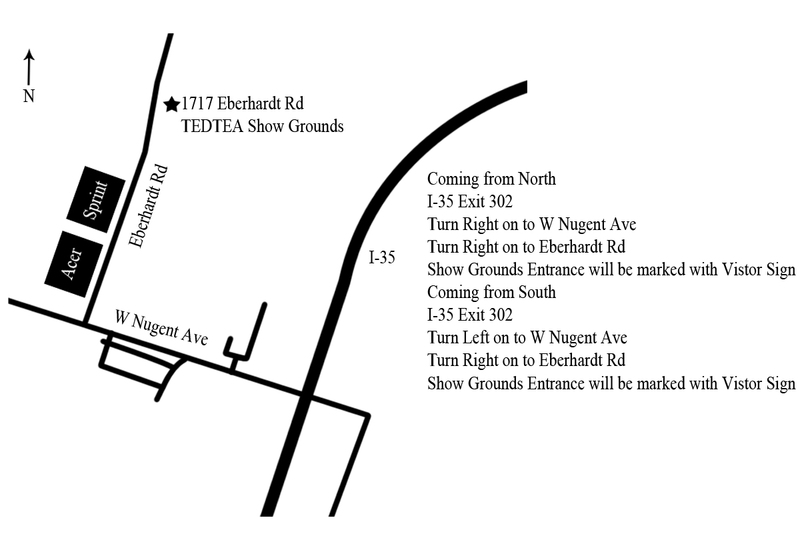 Turn right, and head to 1717 Eberhardt Road. You’ll see the show grounds on your right. Click HERE for local lodging information.